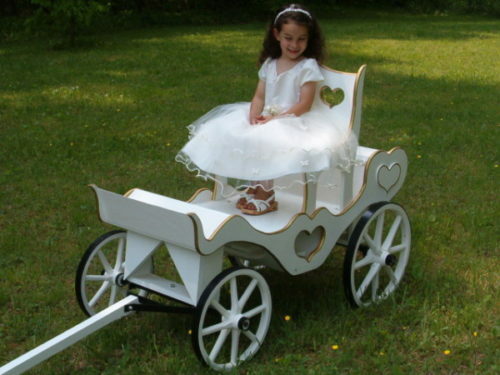 Imagine the charm of a Princess Carriage when you include the older children on your wedding day! 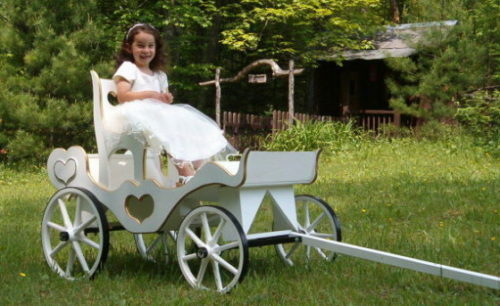 Or create an unforgettable Sweet 16 Princess party! 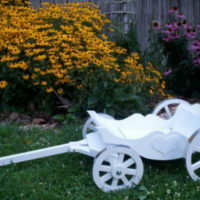 See our wagon size descriptions, click here. 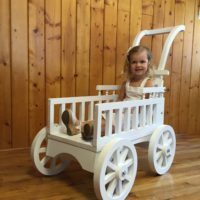 Designed and Handmade of hardwood and plywood in our family shop, this Carriage is large and strong enough for an adult to sit on. The wheels are handmade of Hickory wood, by the Amish, with heavy black steel bands around the rims, and brass bushings for smooth rotation. 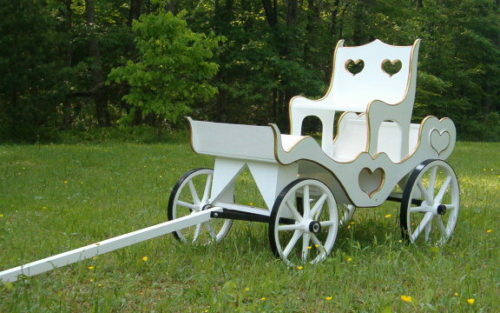 This carriage is made for serious use, and long lasting durability. Below is a list of optional upgrades to the unfinished Princess carriage base price of $2,100.00 (steel wheel rims are included in the base price). 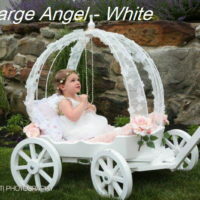 Contact Ed to get shipping quote and to place order. (Due to the size of this item, freight shipping is required). The wheels are handmade of Hickory wood, by the Amish, with heavy black steel bands around the rims, and brass bushings for smooth rotation.